I just LOVE this, Jen! So fresh, clean and bold. Gorgeous. Beautiful ... just LOVE this color combo for a holiday card!! I LOVE this Jen! I am pinning to CASE! 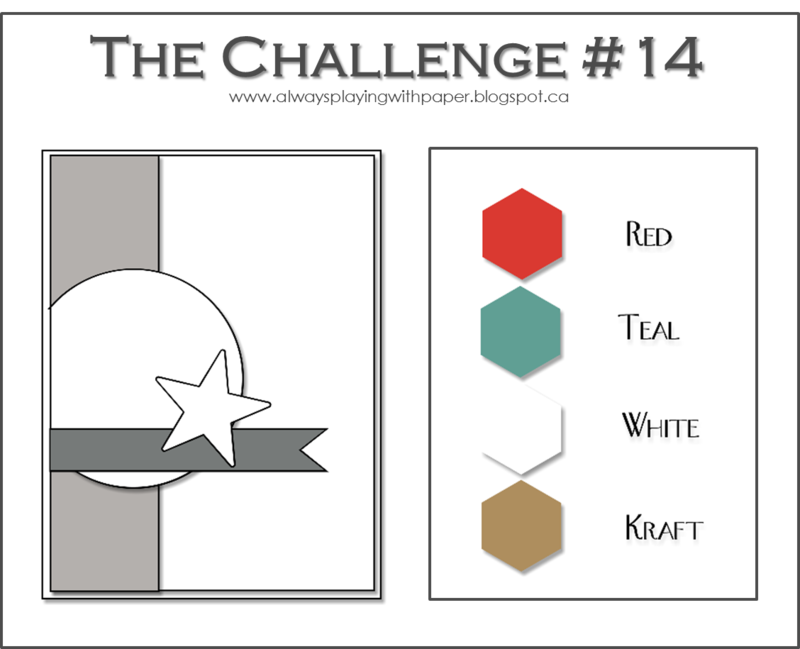 These colors are great for Christmas. Thanks for sharing! Super fun! I love those sparkly trees! What a fun holiday card! These colors work perfectly here! Love the sparkly gems on the trees. I love that you went in a holiday direction! This card is adorable, with the stamped sentiments down one side. Clever idea! Happy you joined us, Jen! Hello Jen!! My you have nailed a fun Christmas card that really makes the sketch sing! Perfection in the trees with the baubles on them and the fun banner and strip. So glad that you have joined in The Challenge, and that you took a step in the way of Christmas cards! I have to make one every week or so... I think it is the glitter!!! Though I don't do the glitter so much myself, it just catches my eye! LOL! Fabulous and fresh Christmas card with the teal! 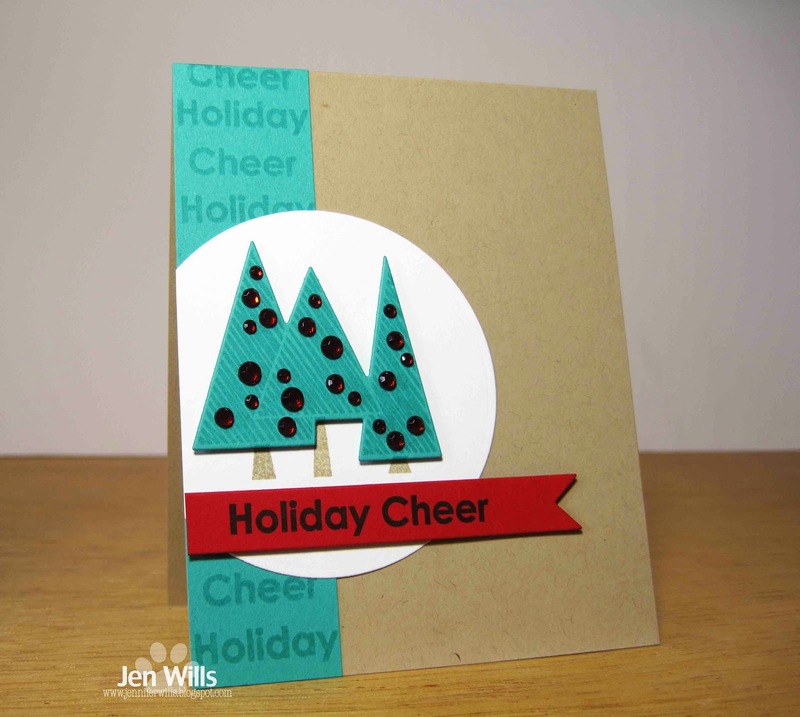 Love your festive design Jen, those colours really rock! What a fun Christmas card. I love the colors and that very cool grouping of trees.